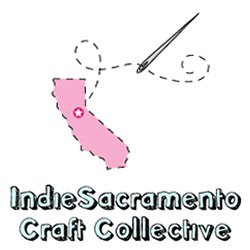 Rain's Embellishments: Indie Sac May Market Vendors Announced! How exciting! A May Market - on Saturday, May 2nd from 10am to 3pm at Fremont Park in the Midtown/ Downtown Sacramento area. The May Market boasts over 40 craft and fashion vendors, carrying a wide variety of affordable and fashionable handmade goods. Besides having the opportunity to support local small businesses and crafters, IndieSacramento is also giving patrons the opportunity to dabble in DIY themselves by offering IndieSacramento's first-ever Craft University. The Craft University tent will offer craft demos like yarn spinning. Patrons can also sign up for craft classes, where they can make a new craft for only a few dollars to cover supplies. Check out the IndieSacramento website in April for a full schedule of the classes and demos that will be offered. Oh yeah, and did I mention, FREE SWAG BAGS to the first 150 patrons?! How cool is that? Awesome! kitchy + cute + FUN! Peptogirl Industries is a small, independent company located in Sacramento, California. All items are hand-picked and hand-crafted with care by Amy Cluck. See www.peptogirl.com for more about Peptogirl and her hip, handmade & vintage goods or shop online at www.peptogirl.etsy.com. Bouton Blue was started in 2007 by a couch ridden Stacey Ball. Stacey hand knits all her pieces and incorporates her favorite item, buttons, into all her pieces. You can also find Stacey at her blogPillsplace and her Etsy shop www.boutonblue.etsy.com. Specializing in a fine and playful selection of vintage and handmade clothing, Atelier serves as a workshop space in the back and retail space up front. Shared by two sisters Amy & Melissa Hemmens along with longtime friend Lindsay Rickman, these young ladies work together to create the unique and artistic vision of the Atelier. 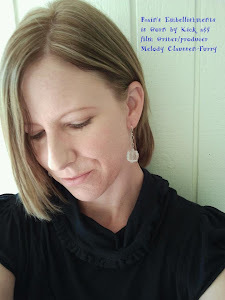 Blissjewelry was started by two sisters with an eye for fashion. 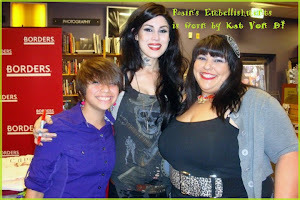 One sister expresses her girly and romantic side while the other sister feel a need for edge. With our creative collaborated minds, we produce BLISSJEWELRY. Blue Bicicletta is the online home and art space of Davis-based artist and illustrator Nicole K. Docimo. She compares making art to “riding bikes fast, down hills, wind blowing in her hair” and loves the color blue. Most of all, she loves putting black lines onto white paper, and many of her drawings start from that simple place. She is also crazy about letters and words and keeps trying to find new ways to combine words and visual art into inspiring, funny, and lively original drawings and prints. Frustrated with boring, and expensive options for her daughter on the way, Kristyn Kipp was inspired during her pregnancy to just make it all herself. The arrival of Addison Rose brought even more inspiration and Chic Baby Rose was born. Kristyn has always had a love of creating and making things and as a result, Chic Baby Rose is filled with unique, hand-crafted items that will put a smile on your face. Chicbabyrose.com is a place to shop for kids from 0-100 years old and specializes in all things cute! Cori Crooks says she takes inspiration for her work from childhood memories. As native of the San Francisco Bay Area, she had the good fortune to grow up around many different cultures. Her Mexican tile jewelry and decorative world tiles are reflective of her old neighborhood brimming with color, be it the tiled Chicano mural on the side of the local tortilla factory, or the hand painted tiles which wrapped around the building of her community's Portuguese newspaper, or the classical roman shapes that tiled the Spanish mission down the road. These images stuck with Cori and are a direct influence on her design and use of color. She recreates these classical patterns and prints them on to miniature tiles, which then become the foundation of her wearable art. She's an artist, a musician, and a writer. Her first book, "Sweet Charlotte's Seventh Mistake", an artist's memoir, will be released this December by Seal Press. You can check out Cori's miniature Mexican tile jewelry at her ETSY shop,www.ShrunkenCatHeads.etsy.com or read more about her artistic pursuits atwww.CoriCrooks.com. Founded in 2007 by a couple of sacramento printmakers, the dirtpuff collective is comprised of local artists who share a common goal of producing creative, quality goods. From humble beginnings (a suitcase/storefront display strapped to the chest of a co-founder) to our humble present which includes international clientele and a scheduled late april etsy launch - the dirtpuff collective is committed to fabricating whimsical works of art that amuse ourselves and sometimes others. While our preferred technique is screenprinting you may also find etchings, handmade books, drawings, appliqués, tiny sculptures and needle felted treasures in the mix. eleen.etsy.com carries a smart, fresh and playful collection of carefully constructed, limited run handbags, fashion and home accessories made of high quality designer cottons, felts and vinyls. Our products aim to add a skip to your step and give you a stylish way to stash — and strut — your stuff! Ellen McMahill has a BA in Art from Florida State University and has been painting in acrylics for several years while traveling extensively. Bright colors and layers of meaning infuse her paintings, appealing to the viewer's senses as well as to their inquiring minds. She sells her original paintings, prints, patches and tshirts online, at art/craft events and in galleries. We make handmade jewelry using the finest sterling silver and gold filled findings, combining with various gemstones that lasts a lifetime. Fat Ninja is a collaboration of Judieann Tadeo's love of origami + all things crafty and Romeo Ang's love of...well, fat ninjas. Judieann loves exploring the simple and extensive possibilities of pretty paper and origami, as well as finding various ways to recreate the Fat Ninja via Gocco, needle felting, and fleece softies. Through these crafty shenanigans, Fat Ninja offers a unique line of hand-folded origami cards, Fat Ninja softies and needle-felted charms, decoupaged coasters, and felt + fabric accessories! Tiffany Dare Turner is a girl that always has her head in the clouds, constantly swimming in whirlpools of creativity and trying her darndest to ignore the materiality of life. Fresh Fruit Creations was thought up in 2007, giving a name to her art. Never settling on one thing to make, inventory remains spontaneous and one-of-a-kind. There has been much inspiration and motivation from kitty snuggles and lizard kisses. You can always count on Fresh Fruit Creations to be made with lots of love and imagination! Hazel May is a one year old baby to a stay at home mother, and United States Marine. Everything we do is for her. Daddy is deployed most of the year, and mommy sews the rest of the time. Everything in my store is made with my own two hands. I promise the same love and quality in our products, that I would in my own daughters. We specialize in handmade baby products. Our most favorite crafts are our bibs, burp cloths, fleece hats, and blankets. Hazel May uses only top of the line materials, purchases textiles from small local, retailers. Handmade messenger bags and wallets, screen printed with original designs are the central theme of I Scream Seams. These lovely images are made not only for beauty, but to inspire thought and awareness. Images are available on American Apparel shirts and hoodies, bandanas, patches, scarves and recycled clothing as well. Julia Nocita is a Sacramento-based jewelry designer. She is currently creating one-of-a-kind pendants and charms with precious metal clay or mini collages on dominoes and in bottle caps. katie jean is a vintage inspired collection made for home and baby. The owner, Katie Trott, uses vintage items such as tablecloths and handkerchiefs together with fresh new fabrics, in surprising ways that are a true delight to all. 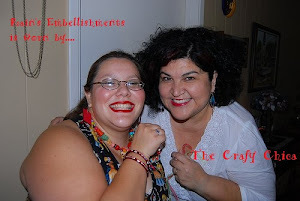 Little Brown Box is a husband/wife team who make and sell cute & kitschy jewelry. They believe that jewelry should not only be cute, but fun! We'd love to share our finds and creations with you! Although LVK Paper Dolls was established in 2008, I began my paper doll career when I was seven. I started making additional clothes for the paper dolls my mother bought for me, then I started making my own paper dolls. In recent years, I began making personalized paper dolls for family and friends for birthday and Christmas presents. The creation of LVK Paper Dolls was inspired by my mother who shared her appreciation of dolls with me and who encouraged me to be artistic. Each hand-drawn, original LVK Paper Doll is created by me with caring. The collection celebrates the beauty of diversity by offering a wide variety of dolls. The dolls are printed on card stock and they stand from 8 3/4" to 11”. The paper dolls’ clothes are also hand-drawn, printed on heavy weight paper, and are sometimes enhanced with tissue paper, glitter or other materials, which give the clothes an added dimension. One of the goals of LVK Paper Dolls is to donate some dolls to children's organizations. Another goal is to create paper dolls of historical women (such as Harriet Tubman, Susan B. Anthony, Shirley Chisholm, and Madame Curie) who made notable contributions. I started Make Pie Not War in late 2007 to accompany my husband’s shirt company, Ephraim Clothing. I ended up really loving it, so I quit my corporate job and have been doing it full-time since! I hand-make all my jewelry. I use vintage items, gemstones, precious metals, etc. to make my jewelry! You can say it’s pretty eclectic like myself! We’ve been selling on Etsy since we’ve started! We also work with Faceless International to raise money for human trafficking in India. We are passionate about providing a great quality product with a unique and fun look to it while keeping our prices low and making our customers our friends! I am a stay at home mom to three beautiful children. I absolutely love to create! never felt better is in bloom and cruelty free — since 2005! very cute, very handmade and very vegan accessories for women. crocheted scarves, scarflettes and headbands, vintage fabric buttons, soldered glass and glass tile pendants all using vegan materials for the animal lover you know. A gluten free foods company offering Thick ‘n Chunky Salsa, Sweet ‘n Spicy Sauce, and their most recent addition, Magnificent Mushroom Pasta Sauce. 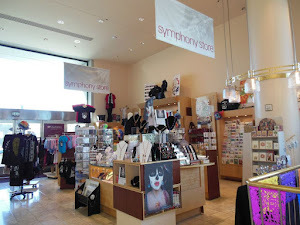 In addition, they offer knitted goods and jewelry as an aside, with a portion of sales donated to the Celiac Sprue Association. Most items I make involve polymer clay and are very durable and lightweight. I use Sculpey III, Premo, and Fimo brand clays in most of my creations. I love experimenting with these clays, metallic leaf, colors, textures, stamps, embossing powders, glitter, paper, acrylic paints, Liquid Sculpey, molds, found objects, micro-beads, etc.....I could go on forever if not for a limited budget. Polymer clay items are sanded, buffed, and glazed with Sculpey Gloss unless otherwise specified. In addition to playing with polymer clay, I enjoy decoupaging chiyogami paper, embossing, and painting on wood objects as well as experimenting with wire and beading techniques. I'm a Home Ec Teachers Daughter. Ive grown up around crafting and finally decided to put it to some good use. 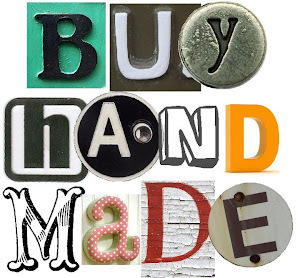 I craft and create on a daily basis either for my etsy shop or for friends and family. Right now my shop is small and im trying to expand a little more each month learning the ins and outs of business along the way. LorRain began crafting at an early age sifting through her mothers discarded fabric scraps to make her dolls clothes. As she grew up, Rain fell in love with the art of bead jewelry making. Today Rain creates colorful one-of-a-kind pieces of jewelry that reflect her vibrant personality. She uses a wide range of semi-precious stones, glass, crystal and natural beads in each individual pair of earrings, necklace, bracelet and ring. one girl. lots of handmade goodness. Scarf It Up! was created as an outlet for my creative side! I hand dye silk scarves, hand knit specialty scarves and ponchos and my husband sews a line of 'Perfectly Matched Shirts." I have been a vendor at numerous shows in the Northern Calif. region and am always looking for new venue to let people see my work. Simply Strands is much more than simply strands! I am really into beautiful stones and the process of turning them into fabulous jewelry. I have been messing about with beads for the majority of my life and in the last few years I have been working on slowly but surely developing my business. I am the designer, production team, marketing coordinator, and all around bead ninja! Ochibos are not made from any pattern. The Ochibo ruler, supreme Matriarch of Tartilia, has sent forth her minions to infiltrate our world. I am merely doing her bidding (collecting a bit for keep and housing, of course.) by finding homes for her beloved Ochibos. From what I can gather, they are actually trying to take over our world and help us out a bit. They plan on making their way into politics based on their cuteness (Hey, people vote for worse reasons than that). Once in political control, they will enact peace upon the world and begin to solve our social problems starting with education. From there the plan gets very, very secret and they won't even tell me what they want to do next. I do know that they are very altruistic in nature and have a strong sense of duty to scientific advancement. I often hear them talking about various cures they will be able to share with us once our technology catches up their own. Don't let their cuteness fool you, these little guys are super smart and super empathetic and have it out to make our world better. Here is hoping they succeed. Skeletal Dropkick is run by Cris Orr, a multi-talented artist. While she has been a published photographer, her new love is ceramics. Her pieces are thrown on the wheel and then altered to form monsters, skulls and cute little critters. She also sculpts, making anthropomorphic animal busts from the depths of her mind. All the clay used is a smooth, white bodied B-mix, cone 10 clay. Monsters make the world go 'round. We create natural skin care products for all members of the family. Breathing new life into otherwise doomed pieces of trash, Space Cadet Jewelry is making the earth greener one piece of jewelry at a time. All pieces are made by hand and use recycled, repurposed, and vintage materials all the way down to the packaging. I have been doing this for about a year. I sell hair flower accessories for infants through women. I also make hair bows and clips. I love what I do. I reclaim vintage/used goods and create NEW pieces, like windchimes, clocks, jewelry, bookmarks, fridge magnets AND MORE — transient treasures! Everything in my shop is handmade by me personally using high quality leather and upholstery fabrics. My focus is creating one of a kind handbags using pre-consumer waste and scrap fabrics from large companies. I also like to use recyclables and handmade materials in my work as much as possible. Why Girls Go Astray art collective formed in Chicago in late 1999. We've always had a love for working with paper and textiles. In past years we've produced pillows, t-shirts, letterpress postcards, magnets, and decoupage furniture. There's always been a certain look-and-feel to our products: bold colors, vintage images with a dash of camp and always with a sense of humor. Right now we are quite keen on paperweights and vases. The Urban Decor presents an extensive range of designer clocks ,Such UK design, nextime clocks for your home. Hi Rain!! Thank you for the comment on my blog. So good to hear from you. I'm not with the mafia anymore..but I hope to see you around the show circuit!! Say hi to all your girls for me! !